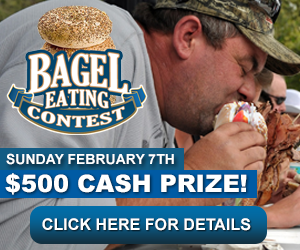 Could You Eat More Bagels Than This Guy? 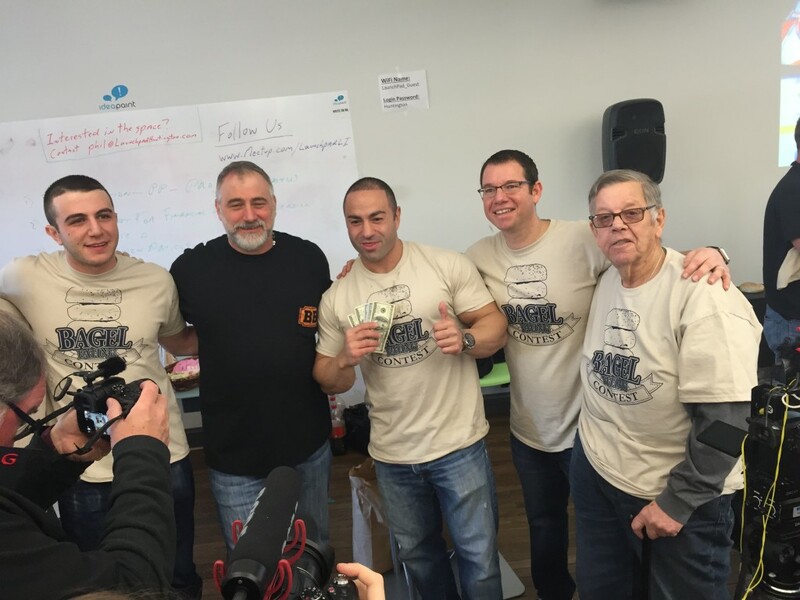 Inside an airy office above a strip of retail stores in downtown Huntington, New York, the first annual National Bagel Eating Contest made its debut on the first Sunday in February 2016. The competition drew seven male contestants who were hungry to win the championship title and $500. Starting at 9 a.m., friends, family and several curious locals trickled into a musty back lobby through the icy parking lot, up an elevator that later broke down and into the office of LaunchPad. The coworking space for entrepreneurs had all the amenities one would expect from a communal space: glass-walled offices, skylights, orange and blue walls and a keg in the kitchen. The competition is the brainchild of Andrew Hazen, an eager entrepreneur with wire-rimmed glasses, who is also the founder of LaunchPad.  His resume includes a wide variety of enterprises, from a law degree to marketing and search engine optimization work to an online store that sells bobbleheads. Last year, he founded the National Bagel Association, a trade organization for bagel store owners, because he couldn’t understand why this beloved food and New York staple didn’t have its own organization. 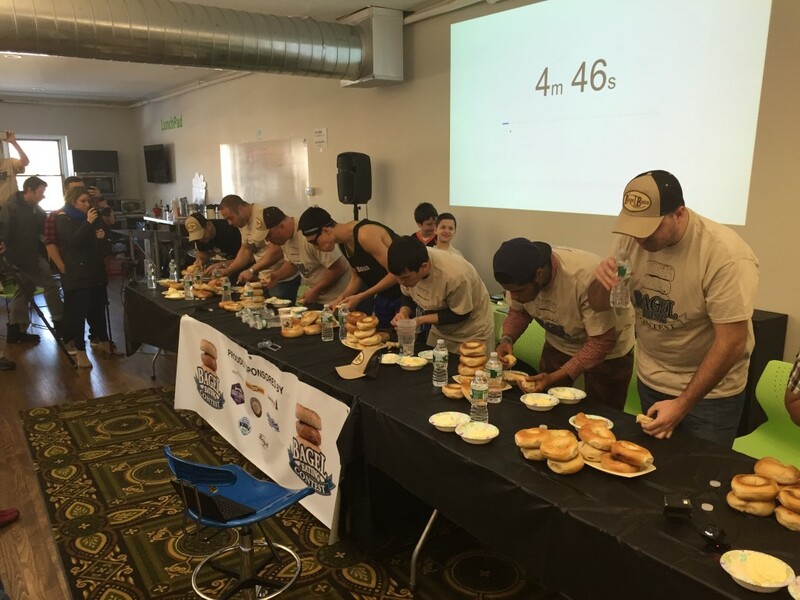 Hazen plans to continue and perhaps expand the bagel-eating competition, which took two months to organize, possibly hosting it outdoors during the summer next year. “I think there’s a little bit of anxiety,” he said, referring to the difficult, chewy task of eating bagels quickly. Tommy Vandenberg, 22, had driven in that morning from Manhattan, with two coworkers from IBM. He stood in the back and sized up the other competitors. He had the tall, lean physique of a runner and seemed at a disadvantage for lacking the same body mass as the other contestants, who displayed either intimidating arm muscles or heavyset builds. Like many of the competitors, Vandenberg showed an appetite for both eating in general and the challenge of eating contests. His prior experience included a tournament to run a mile, eat six doughnuts and then run another mile. He had been looking up food competitions online and stumbled across this one. He immediately signed up. He told me his strategy was to dunk chunks of bagel into a pitcher of water, pat the sopping bread and then swallow. Greenspan piped in that the Bagel Boss variety is comprised of soft dough for easy chewing. Over on the right hand side of the room stood Matt Weimann, a towering man, and his tall girlfriend, Kim, who lives in Astoria. He commutes back and forth between Huntington and the city. One day when he was absent, his coworkers signed him up for the contest. In college, Weimann placed second in a hot dog eating contest, but seemed nervous about this event because of the density of bagels. He told me he planned to rip each one into four pieces and soak them in water. On the opposite side of the room, Keith Tuzzolino, a 33-year-old bodybuilder, warmed up with his two friends by checking out the competition. He wore a light jacket that he would later remove, showing off his Popeye-like arms. Tuzzolino enjoys challenges and competitive eating. He said he’d competed in several contests before, including a pizza-eating competition in which he placed second. He continued, “I omitted the oatmeal this morning. I’m starving.” Tuzzolino seemed confident that he would win, but he was reluctant to say what he would do with the cash prize. At 11 a.m., the seven men took their seats at the table. Hazen projected a timer set for five minutes onto the screen behind them. They each gazed at the bagels and water in front of them. A volunteer EMT stood by in case of an emergency. The men hunched over the food and braced for Hazen’s word. Hands began flying. The majority of the men braced themselves by leaning one arm on the table and using the other to dunk. Some briefly dipped the bagel into the water. Others let their chunks float in the cup for several seconds. One man squirted the water onto his bagel, drenching both bagel and table. The burly men raced to swallow the dough. Their cheeks bulged like chipmunks and the veins in their necks popped. Weimann put a hand to his mouth, looking as though he might hurl. The competitors finished swallowing the last bits, and many complained of having sore jaws. Hazen walked toward the contestants sitting on the far left and began counting how many bagels each had eaten as he moved down the line. Tuzzolino sat in the second spot, and when Hazen announced, “Five!” the crowd cheered. Tuzzolino had won by a long shot. Tuzzolino raised his hand in the air like a champ and gave the audience a show by flexing his bulging biceps. They hooted and clapped. Taylor Swift’s “We Are Never Getting Back Together” began playing. The victor walked over to his mother, a short, tan woman with auburn hair, and kissed her cheek. She had arrived late, but didn’t miss the performance. The crowd didn’t stick around long, but everyone seemed to leave in good spirits, even the losing contestants. At the front of the room, Tuzzolino accepted five, crisp $100 bills from Hazen and posed for photos, again flexing his biceps. “See, I told you that breakfast didn’t fill me up,” he said.